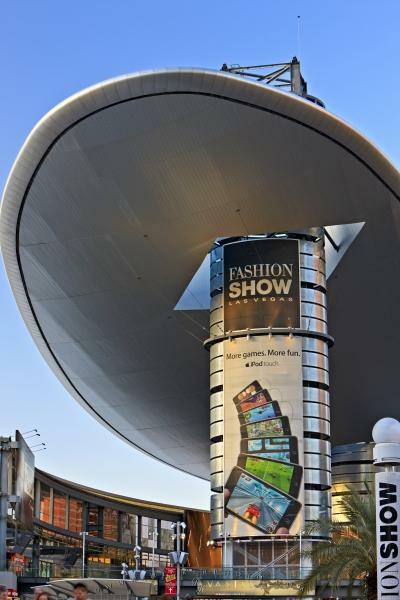 A prime shopping destination in Las Vegas, Nevada and dubbed the largest shopping centre in the US, the Fashion Show Mall features over 250 shops and restaurants, a dream come true for those who were born to shop. A must see while visiting Las Vegas is the Fashion Show Mall, the largest shopping centre in the USA. The mall features over 250 shops and restaurants, and fashion shows take place on a regular basis. Fashion Show Mall, Las Vegas, Nevada, USA. downtown Las Vegas, Nevada, USA.